A staggered tire setup is one in which the front and rear tires are different sizes. With limited exceptions, a staggered tire setup typically includes larger width rear tires, and narrower front. When the tires are equal at all four corners, and there is no tire width difference between front and rear axles, the setup is square. Which tire setup is preferable? That depends upon a wide range of variables: the vehicle, personal handling preferences, driving style, and intended application(s). Both setups have advantages and disadvantages. Staggered tire setups are perhaps most common with performance vehicles – for example, Chevy Corvette, Ford Mustang, BMW M3, Mercedes-AMG, Porsche 911, etc. 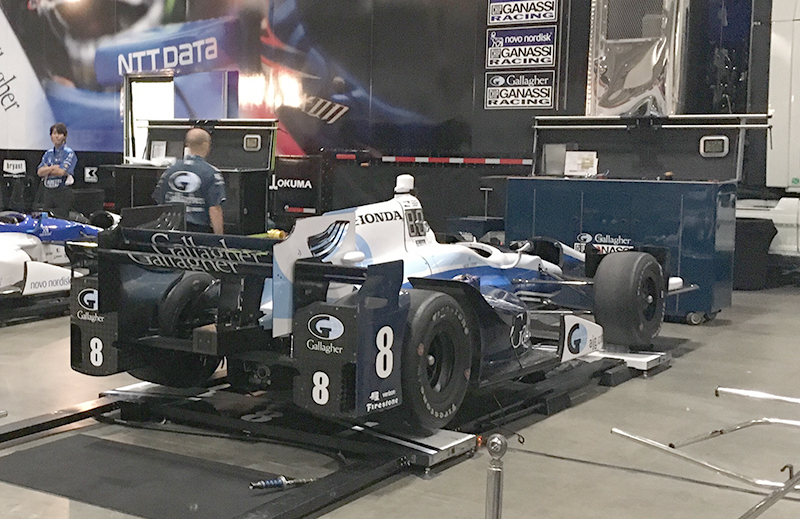 In these vehicle applications, specific staggered tire setups are selected to deliver performance and particular handling balance/characteristics. Also, due to high horsepower and (often) rear-wheel drive, more tire “meat” across the rear axle is a requirement to capably deliver power. The current generation Corvette Z06 is a perfectly ridiculous example, with 650 horsepower and 650 lb-ft of torque. In this case, Chevy’s engineers decided that mega-sized 335/25ZR20 are required to achieve adequate traction under throttle (vs 285/30ZR19 front). 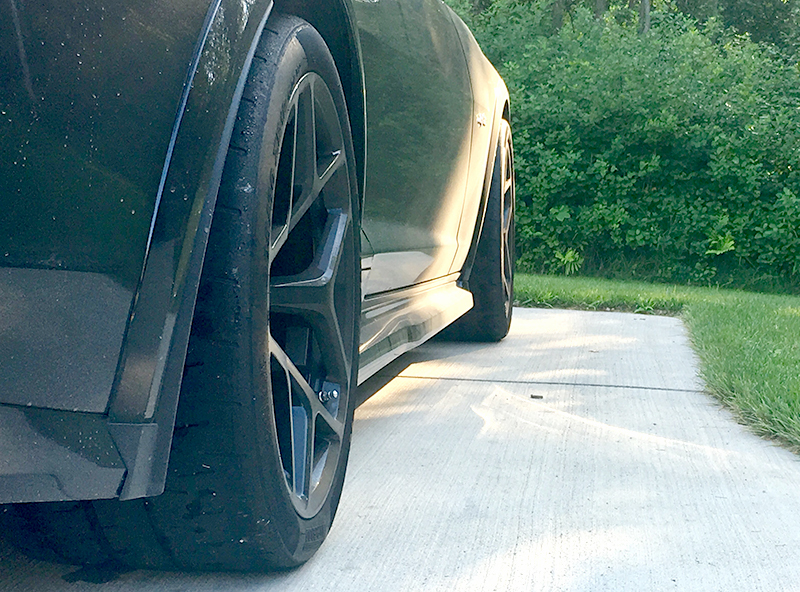 As mentioned earlier, staggered tire setups on performance vehicles can help to achieve a desired handling balance, but that balance isn’t necessarily all about outright grip and performance. Staggered tire setups can also encourage a level of handling safety and security. Staggered tire setups with smaller width tires at the front axle generally produce understeer near the handling limit. Understeer, or a vehicle’s tendency to “push” through a corner, is considered a safer limit handling characteristic than oversteer, which is when the rear of the car breaks traction and moves around during aggressive cornering. So in fact, to reduce understeer, neutralize, and optimize limit handling for many performance vehicles, experienced enthusiasts (and GT Sports Car race teams) often move from a staggered to a square tire setup. This is achieved by increasing the tire width at the front axle to equal the rear. Along with producing more front-end grip when cornering, a square tire setup can also positively influence high-speed stability. The front end of the car feels more “planted” because of the greater contact patch. So what are the downsides to a square setup? When transitioning from a staggered to a square tire setup by increasing front axle tire width, drivers may perceive a decrease in responsiveness to steering inputs. Additionally, not everyone will necessarily find the increased front-end grip and altered handling dynamics comfortable or desirable. 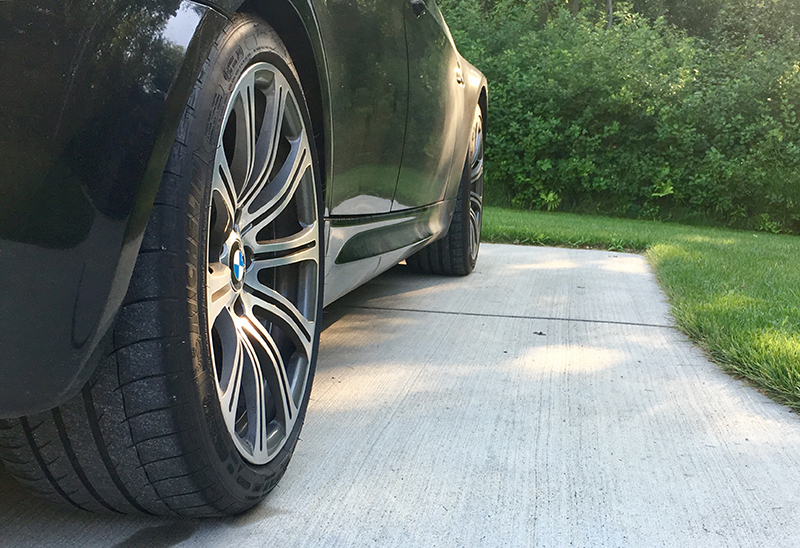 Aside from optimizing performance in some vehicle applications and contexts, square tire setups have another, very practical advantage over staggered tire setups: Front-rear tire rotation, and therefore improved tire longevity. Especially if a vehicle is used in a performance context, the ability to flip front for rear tires, and vice-versa based upon wear rates, is a major practical (and economic!) advantage. And even if your car or truck is not used in performance environments, a square tire setup yields the same rotation and longevity advantages with standard long-term use. In summary, there is no “right answer” to the question of Staggered vs. Square. It comes down to personal preference, and in many cases there is merit to both. However, it’s more common for drivers to swap from a staggered to a square tire setup, both to change vehicle handling and performance, and to improve overall tire wear and life. It’s easier said than done, but experimenting with both staggered and square tire and wheel setups is the only way to know what’s preferable for you and your vehicle. Can you use passenger tires on a truck? Sometimes, but it’s not always the best idea.